At pdx.farm our vision is to create better access to healthy organic food by helping people cultivate their own backyards. We provide an opportunity for people who want to grow food on their property to make it a reality. Pdx.farm offers client consultations, design and implementation, bi-monthly maintenance, mentoring, and urban farming classes. We offer three hearty packages: the Startup Package, the Best of Both Worlds, and the Full Service Package. Free estimates happily provided. We have a wealth of knowledge with creating and maintaining edible gardens. We are happy to share our knowledge about edible gardening with you and offer any solutions that may help your garden become healthy and productive. During the consultation, we recommend the best plant choices and discuss layout and design. 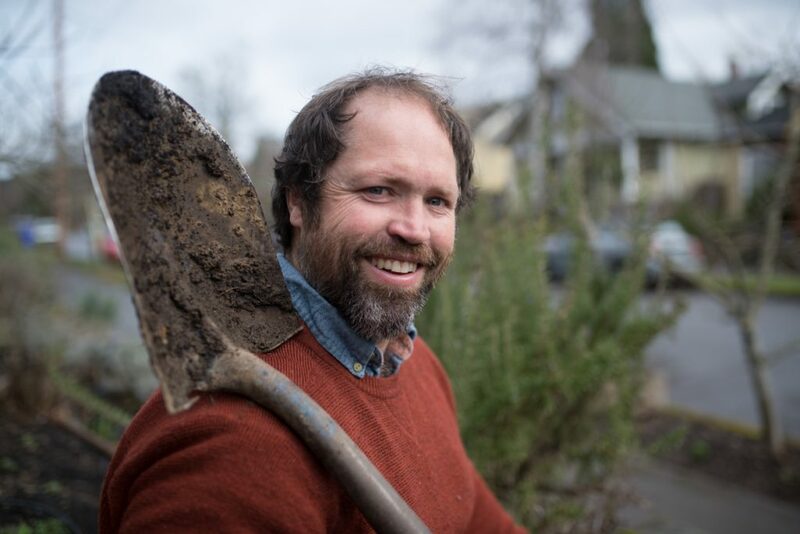 In addition, pdx.farm offers coaching to increase the client’s own understanding and best practices in their new garden through the growing season, including seasonal scheduling. $70/hour. When designing yards we incorporate permaculture principles to help create sustainable designs for our clients’ yards. We use a whole-system design approach to capture the different elements that factor into each design. We work collaboratively with our clients to ensure that their needs are met in the design since they have the most experience in their own yard. $70/hour. We love transforming front lawns into edible yards by installing raised beds. We build most of our beds out of juniper, a sustainable source of lumber which also last longer than cedar. In addition to raised beds we build chicken coops, trellises and grape arbors. We custom build our raised beds in all different sizes to accommodate your yard and wallet. $45/hour. We provide garden maintenance that tailors to your needs. We offer maintenance for our clients with edible gardens, which includes fruit tree pruning, planting, weeding and amending soil. Pdx.Farm also provides general maintenance for our clients’ yards throughout the year, on either a monthly schedule, quarterly or bi-annually. We prioritize using environmentally friendly methods in all our maintenance. $35/hour.